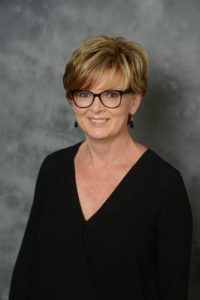 Vice President of Institutional Effectiveness Dr. Paula Gill was recently selected as a Maury Cotter Leader of Change by the Network for Change and Continuous Innovation: Higher Education’s Network for Change Leadership (NCCI). Gill was one of two higher education leaders selected as a recipient of this year’s prestigious honor, and she will be recognized at the 2017 Leaders of Change during the Annual Business Meeting and Awards Luncheon at the 2017 Annual Conference on July 29 in Minneapolis, Minnesota. Created in 2013, the recognition program identifies leaders of change throughout higher education, recognizes them for their accomplishments, and helps link them with their peers to leverage further the impact of their good work. Beginning with this 2017 class of Leaders of Change, NCCI is proud to name the Leaders of Change Award for founding member Maury Cotter, in recognition of her significant contributions to the Association and the higher education profession. As Vice President for Institutional Effectiveness, Dr. Gill is responsible for evaluating the university’s progress toward its performance objectives and for seeking ways to improve services and processes that provide value for students. Among Dr. Gill’s recent accomplishments are facilitating an inclusive, campus-wide strategic planning process, Vision 2020, and overseeing its ongoing management and implementation. She also led a complete review and improvement of all enrollment strategies and communications, reducing the time from completed application to decision by 83 percent and resulting in the largest increase in freshman and graduate enrollment in the history of the University. NCCI is a professional association dedicated to improving higher education nationally and internationally by providing a collaborative professional network for change leadership. NCCI has more than 90 institutional members and more than 1,000 individual members worldwide.